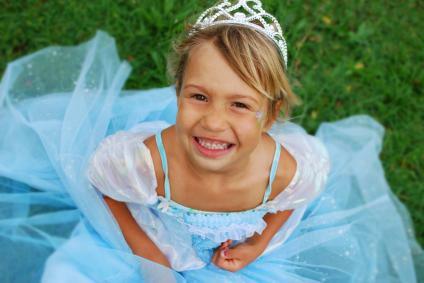 A child tea party offers children time with friends, make-believe and real. It also affords an opportunity to learn how to exercise hospitality in a fun atmosphere that encourages manners and the art of entertaining. The first step in planning a tea party is to choose invitations.The invitation is what sets the mood for the party. Child tea party invitations can be purchased or hand made using specialty children note cards to aid in creating invitations with a theme. One popular idea is to purchase invitation paper and cut invitations into the shape of a teacup to be decorated and personalized by your little hostess. If you don't know where to start, check online invitations for possibilities. You can also purchase premade tea party themed invitations from most larger party supply stores. Be sure to include any important details on the invitation. For example, if you would like your guests to bring their favorite dolls or stuffed animals to the party or if the children are supposed to dress up for the event, this should be noted on the invite. 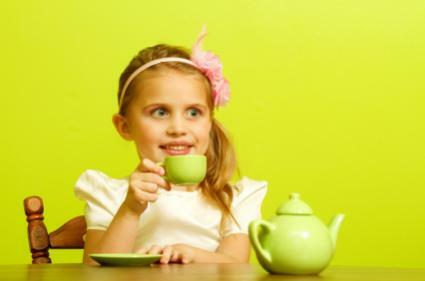 Themes for a child tea party can vary from traditional topics like a Teddy Bear Tea Party to cultural interests including current popular movies like Over the Hedge or Happy Feet. Such themes open the door to an array of tiny forest animals as tea party guests. The fun of hosting a storybook tea party is that the theme caters to the child's interest and gives them a fun and interesting way to celebrate that interest. This is a perfect party theme for little girls that like to still play with dolls. Guests bring their favorite American Girl Doll or the doll of their choice to an American Girl tea party. Stuffed animals make perfect guests in many a pretend child tea party, so what better reason to actually host a tea party that incorporates these stuffed animal guests? In this case, you can create teddy bear invitations with stickers, or even cut them in a teddy bear shape. For fun, young girls can dress their teddy bears up for the occasion. Before the party, visit thrift stores and garage sales to gather old dresses, jewelry and purses. You might even check with mothers of some of the other girls to see if they have items they'd like to donate for the dress up affair. When the girls arrive, let them hunt through the box of clothes picking and choosing the items they want to wear to make their fashion statement. Once they've tried things on, made their choices and helped each other get dressed, it's time for tea. Although the child tea party most often caters to young girls, there's no reason not to include boys and girls in a tea party. Young boys and girls enjoy dressing up in clothes that are too big, and have favorite movies and storybooks. Of course boys may bring a super-hero or two with them as a party guest, but a child tea party exposes both boys and girls to etiquette and good manners while having fun. Party favors and goody bags aren't technically necessary, but it is nice to send each guest home with a small memento from the day. 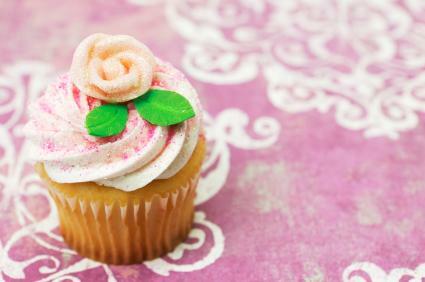 The simplest favor is to fill a teacup with small candies. Wrap the cup in cellophane and tie it with a bow. An alternative is to print off tea party coloring pages and give each child a small homemade coloring book and a box of crayons. For beverages, traditional hot teas may not be very appealing to young guests. Iced tea, lemonade or a fancy pink punch are good alternatives to consider. Don't reach across others for an item on the table, but ask for it by saying, "Please pass the…"
Don't slurp or smack your lips. Don't clink your spoon on the side of your cup as you stir. Pass the salt and pepper together. Don't push food onto your fork with your finger. Don't move your plate away when you've finished. Consider the age of the children attending the party. Don't make etiquette so strict that they don't have fun. Instead, allow the tea party to be an enjoyable learning experience. The most important consideration for any child's tea party is to make it fun. Be sure to include activities and games that everyone can participate in and that the day is filled with lots of laughs and fun.